Dr. Maria Portilla-Feigenbaum was born in Washington D.C. and raised in Puerto Rico. She is a graduate of the University of Puerto Rico School of Dentistry and completed her post-graduate degree in pediatric dentistry at the University of Alabama School of Dentistry. Later Dr. Portilla accomplished an additional two years of graduate studies in hospital dentistry at Louisiana State University School of Dentistry in New Orleans. Dr. Portilla is licensed to practice dentistry in the state of Florida, Louisiana, Alabama, and Puerto Rico. She has practiced pediatric dentistry in Coral Springs for over 15 years. 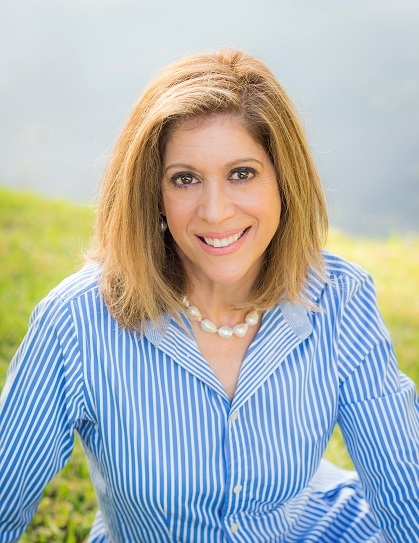 She has in the past been part of the faculty at NOVA Southeastern University College of Dental Medicine as well as co-chair of the pediatric dentistry program at Broward Dental Research Clinic. Dr. Portilla is a board certified pediatric dentist with the American Board of Pediatric Dentistry since 2001. Of utmost importance for Dr. Portilla is to enjoy life to its fullest along with her husband, family and friends. She loves to have fun and make people laugh! Her hobbies include fashion and interior design, travelling and dancing, therefore, is befitting her favorite television show is "So You Think You Can Dance"!